Dorothy Hobson was born in February 1960. She is from the Kuuku Y’au clan. 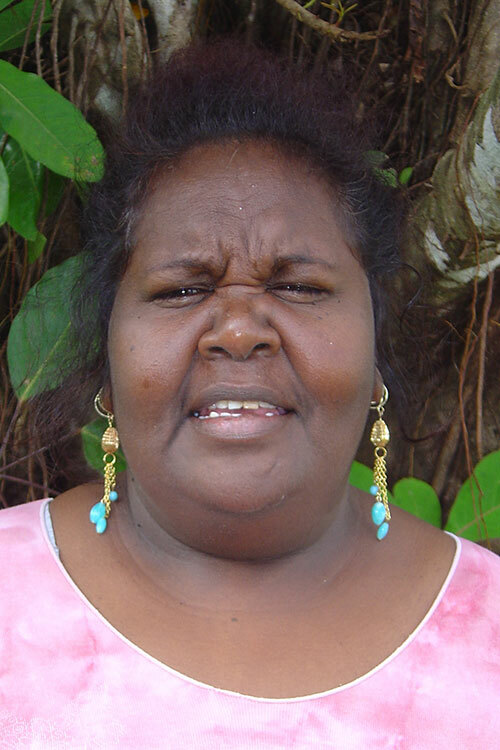 She is a respected community leader having worked in various roles with the Lockhart River Aboriginal Shire Council. She is a current Councillor. Dorothy had painted previously at the Art Centre in mid-2000. She had a break from painting to concentrate on various community leadership responsibilities. Dorothy commenced painting in 2016 at the Art Centre during her free time. Her paintings are themed on her Country, land, sea and rivers. Her paintings have been exhibited in group exhibitions in Cairns, Darwin and Houston Texas at Booker Lowe Gallery.